©Yuki Midorikawa / Hakusensha / Natsume Yujincho Project. 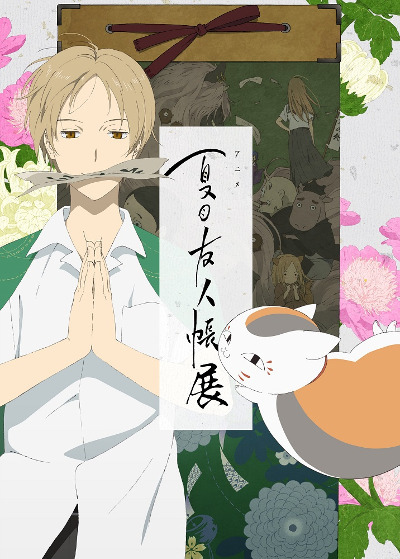 “Natsume’s Book of Friends (Natsume Yuujinchou) Exhibition” will be held from 27th March until 9th April 2019 at Matsuya Ginza. ‘Natsume’s Book of Friends’ is a popular manga series by Yuki Midorikawa. It began serialization by Hakusensha in the shoujo manga magazine LaLa DX in 2005, before switching to LaLa in 2008. The broadcast of TV anime began in 2008, and the theatrical film was released for the first time in September last year. This exhibition will display valuable materials of TV anime series and theatrical film. And you can immerse yourself in the world view of the ‘Natsume’s Book of Friends’ by reproducing the scene that appears in the anime. *The last day will end at 17:00.